4D LABS works with academic and industrial researchers to move new technologies from the benchtop to the marketplace in a range of fields, including clean energy, information technology, health and medicine and telecommunications. 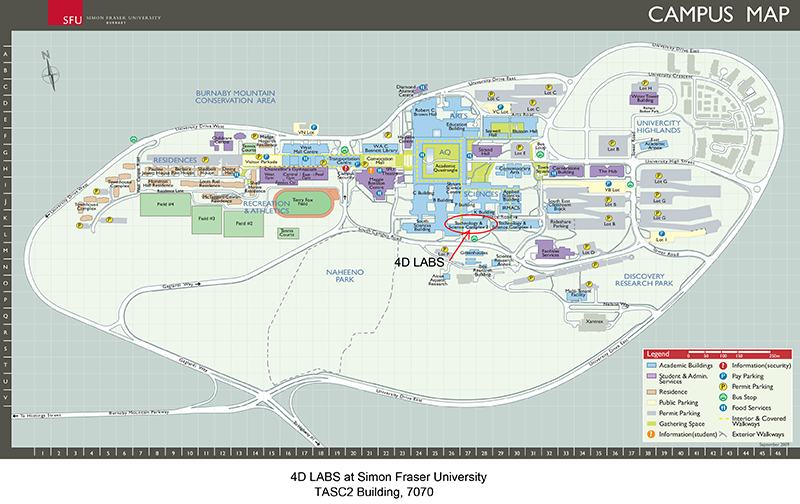 Aside from a range of materials-specific academic laboratories,4D LABS also hosts three user facilities that are accessible to all researchers in academia, industry and government. These three user facilities include a clean room for microfabrication and nanofabrication, an electron microscopy centre and an advanced laser laboratory. Together, the user facilities are a means to design, build and fully characterize new materials and devices all under one roof. There are a variety of ways to work with 4D LABS. Researchers may elect to be fully trained and perform all aspects of their device design, building and testing it themselves, or may contract 4D LABS to do some or all of the work for them or may collaborate with a 4D LABS faculty member. To date, 4D LABS has worked across the full range of industrial sectors in a variety of ways. 4D LABS has partnered to develop high-efficiency solar cells, leading-edge lighting, nanomaterials for security features, biofluidics and a myriad of other devices. These microscopes use an electron beam to image samples and determine elemental composition (EDX) spectroscopy. Cryo and low vacuum capabilities enable a variety of materials to be analyzed.